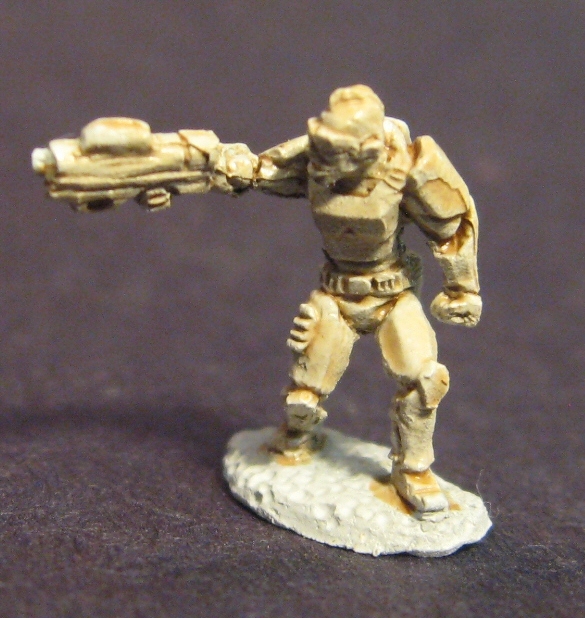 Good guys, bad guys, and those outside and in-between. 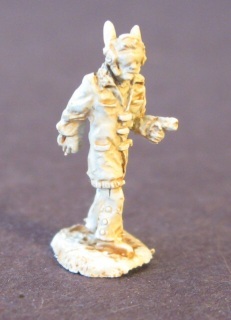 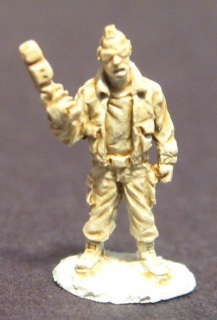 1x 15mm metal character figure of Robear Medisi, a Tinker for hire, armed with an compact machine pistol and wearing senso-headgear. 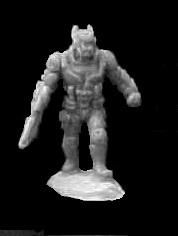 15SS301- Keparkian "External Security Team"
5x 15mm metal figures of a Keparkian External Security Team consisting of 3 elite human soldiers in combat armor and carrying assault carbines, and 2 lightened combat robots with multi-rifles. 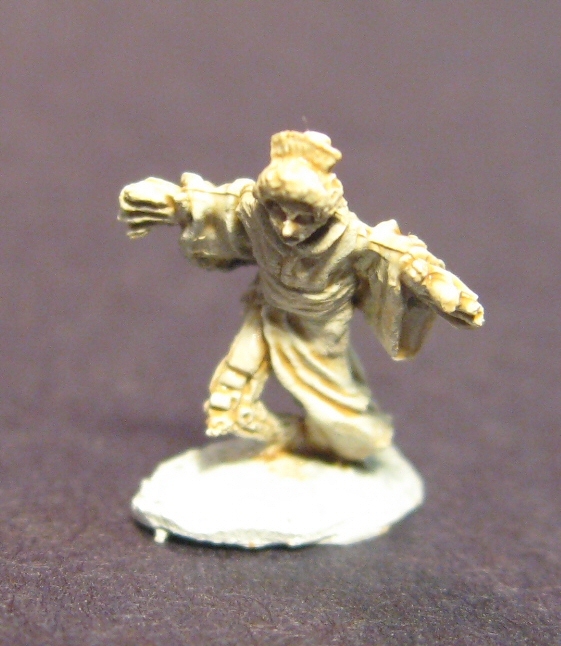 1x 15mm metal character figure of a Geisha bot gone berserk and out to kill everyone she can reach. Watch yourself! 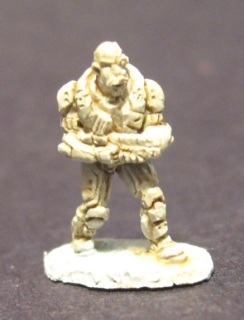 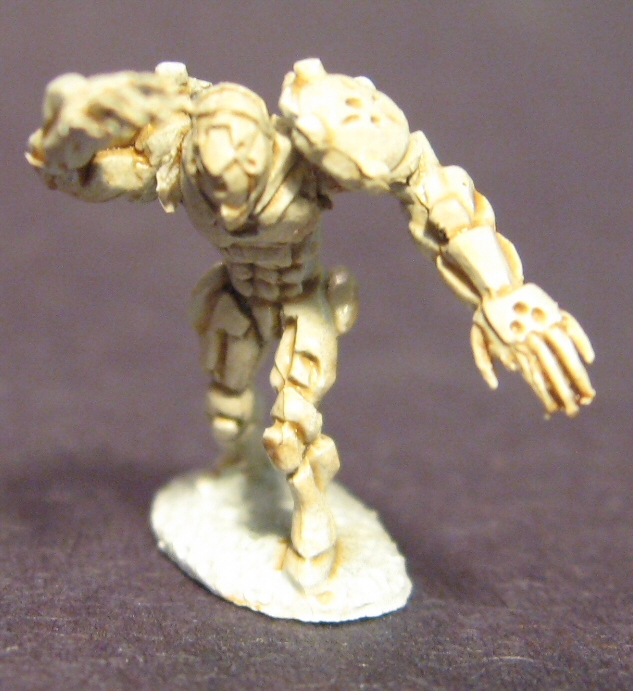 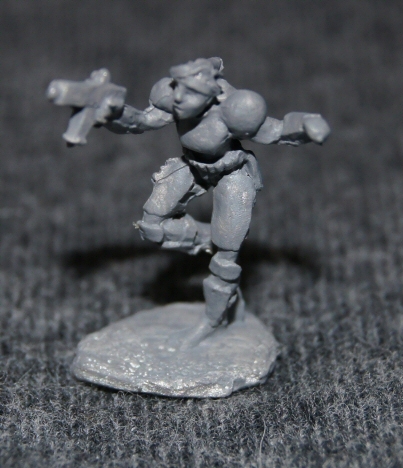 1x 15mm metal character figure of a full-conversion combat cyborg in a lunging pose. Arms are separate parts.